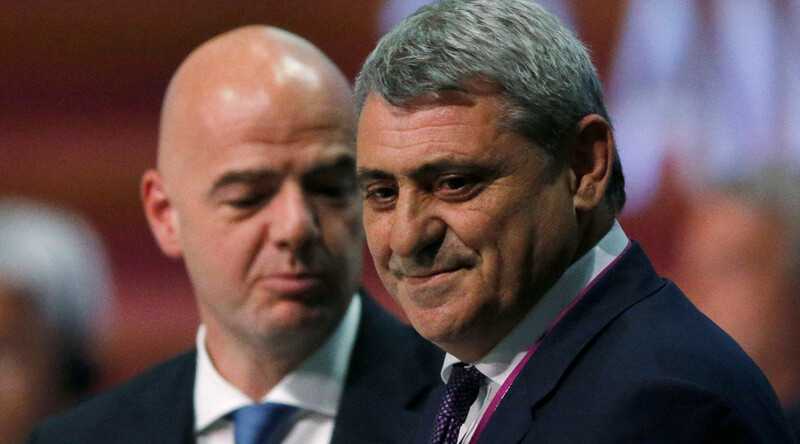 European minnows Kosovo and Gibraltar will be permitted to take part in the qualification process for the 2018 World Cup, after being accepted as new members of FIFA. On May 13, Kosovo became the 210th member after 141 delegates at FIFA’s Congress in Mexico voted for their inclusion, with 23 votes against. Gibraltar then became the 211th member in a 117-12 vote. The two nations ranked 112 and 180 respectively were only previously permitted to take part in qualification for the European Championships, but they are both now full FIFA as well as UEFA members. Serbia, the country from which Kosovo declared independence in 2008, has vowed to appeal the decision. It refuses to recognize the nation’s independence. The uproar will likely mean FIFA and UEFA will need to separate the two nations in all future competition draws, both at World Cups and Euros. FIFA has named its first female secretary general, with African Fatma Samba Diouf Samoura being voted in at the same Congress, despite reservations of her having no previous experience in soccer related operations. FIFA President Gianni Infantino commented: “Fatma has international experience and vision [and] has worked on some of the most challenging issues of our time. “She has proven her ability to build and lead teams, and improve the way organizations perform. The position is FIFA’s second most powerful behind President Gianni Infantino and has been created as part of a raft of changes to expunge the governing body’s long-standing problems with corruption. Samoura, of Senegalese decent, was resident representative of the United Nations Development Program in Nigeria. She will be responsible for the day-to-day administration of FIFA. "FIFA is taking a fresh approach to its work and I am eager to play a role in making that approach as effective and lasting as possible," she said in a statement. FIFA’s Congress also passed legislation that now gives its board, the FIFA Council, the ability to fire the heads of its independent committees at any given moment - a further measure aimed to move on from the body’s recent corruption scandals.